Chromecast gets ESPN just in time for the World Cup. 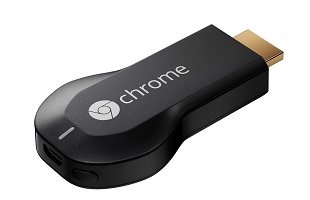 Got a Google Chromecast, and a cable subscription? Then you'll be able to enjoy ESPN on the streaming device, starting today. As the app update rolls out today, Chromecast users will be able to snag WatchESPN, provided they have a supported cable subscription. Sports highlights and live games are always a bonus, but with the World Cup starting next week, the service addition couldn't come at a better time. Google confirmed that all 64 World Cup games will be available on the WatchESPN app, so if you and your Chromecast are on the road (or you're mooching a cable login from your parents), you'll be able to watch the entire tournament, unfettered. Chromecast users will also be able to grab Major League Soccer content. The MLS Matchday app is being added, as is access to MLS Premium Services. The latter allows you to stream live games, with a season subscription going for $50. Last but not least? Crunchyroll is coming to Chromecast as well, so anime fans will have access to thousands of hours of content. All the new apps and updates will be rolling out over the course of the day, and should pop up in Google Play and the App Store accordingly.